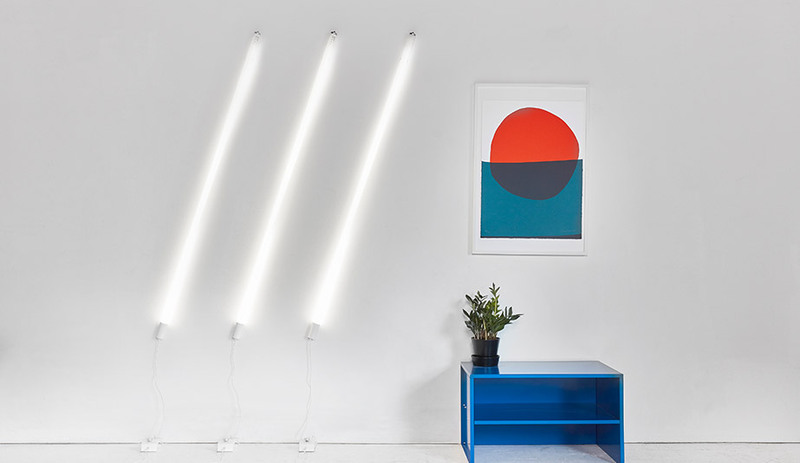 With the Induction Wall Light, Castor Design has developed an elegant way to revive – and actually improve – expired fluorescent lights. 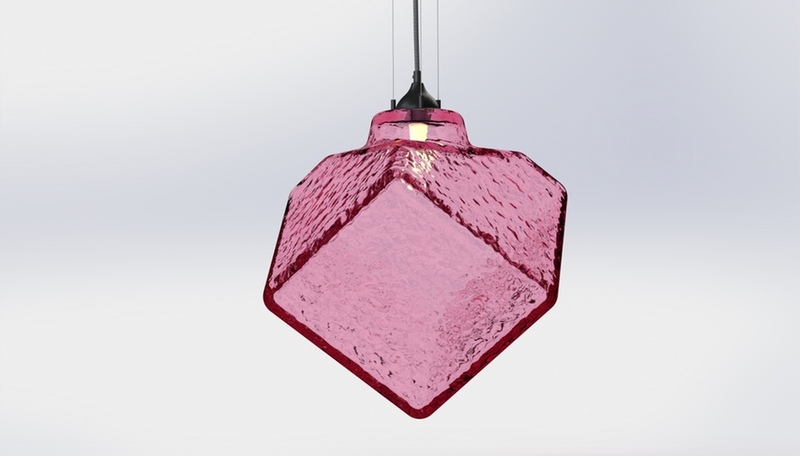 The design is the 2018 AZ Awards Winner in the Lighting Fixtures category. 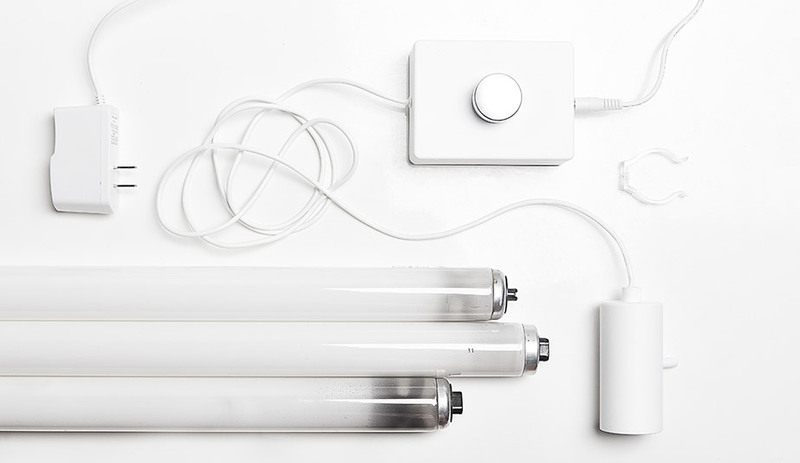 Dead fluorescent bulbs can now be restored, thanks to the Induction Wall Light by Castor Design. When a bulb expires, it isn’t because the mercury inside somehow disappeared; it’s because the filaments on either end have burned out. You can think of filaments as ports of entry: Find another way to get electricity into an expired bulb, and it will burn brightly for another lifetime. 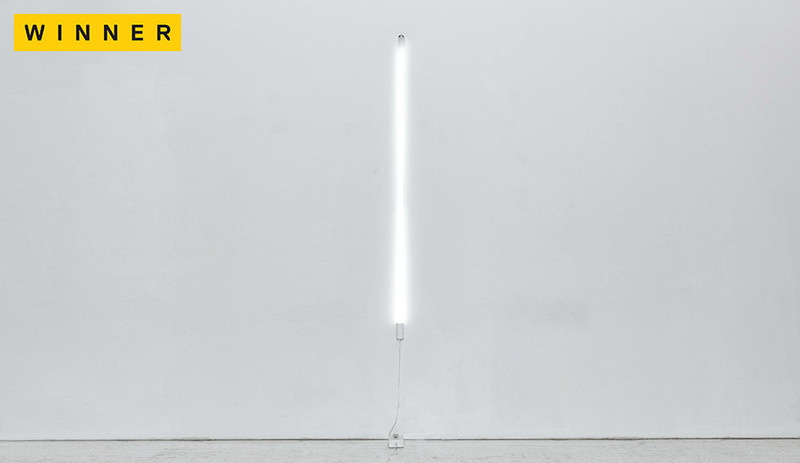 The Induction Wall Light has two components. The first is a foot-activated steel switch box that resembles a guitar pedal; inside, there is an electrical circuit and a copper coil that encircles an iron rod. When the switch is tapped, a high-voltage electrical current activates the circuit, which transfers power to the copper coil. This coil is connected by a wire to the lamp’s second major component – a holder, or wall-mounted fixture that cradles the used bulb – enveloping it in an electromagnetic field. In this way, the T12 bulb emits a glow that’s far more pleasing than the glare of the original fluorescent. The underlying scientific principle – electromagnetic induction – is almost two centuries old, having been discovered by the legendary British physicist Michael Faraday in 1831. While the technology is straightforward, Castor’s application of it is conceptually superb. The lamp holder exposes the blackened ends of the bulb, accentuating the life-after-death symbolism and gently reminding us of our culture of single-use consumption. When an appliance conks out, you send it to landfill. But, as this recycled beauty suggests, a creative mind can not only revive a spent object but improve upon it, too.